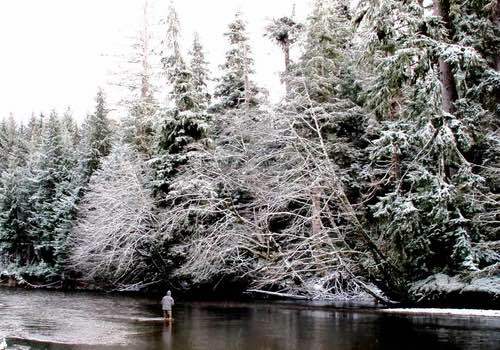 In search of a winter steelheading adventure in a wildly remote setting? This just might be your trip. 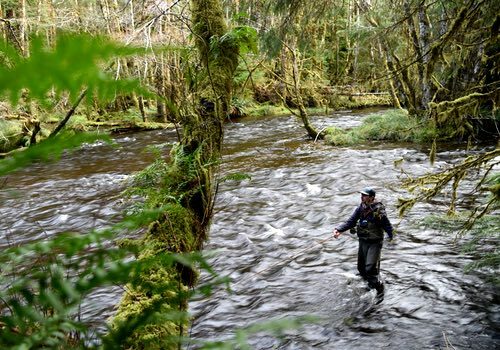 Fish the Yakoun River and other small coastal systems for wild steelhead on the remote northern BC islands of Haida Gwaii. Accessed by an extremely limited amount of anglers each season, this isn’t a trip for the fair weather angler, only serious steelheaders need apply. If you’re looking for a first-class BC steelhead fishing trip, then my crew and I have you covered. We offer prime dates on all the top BC steelhead rivers! Nothing beats local expertise and our incredible network of guides, lodges and camps will have you fishing with the best steelhead programs in BC. Feel free to use the contact form on this page or email me directly to get planning your next BC steelhead trip, you can see them all here, we look forward to earning your business. One of the most epic and unique steelhead fishing adventures out there, this is a wild trip that will put you into BC’s most remote islands. 6.5 days of guided steelhead fishing. All meals and alcohol included. Fly to Sandspit BC, we’ll pick you up at the airport. 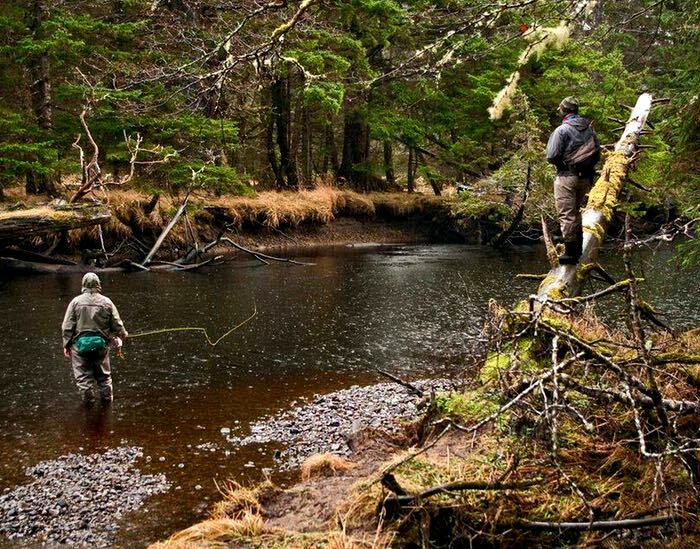 THE TRIP: Experience a full-week lodge package with guided steelhead fishing on the Yakoun, Copper and other lesser know rivers on the remote islands of Haida Gwaii. This is an unbelievable trip putting you into the heart of the magical rivers and forests of these incredible islands. 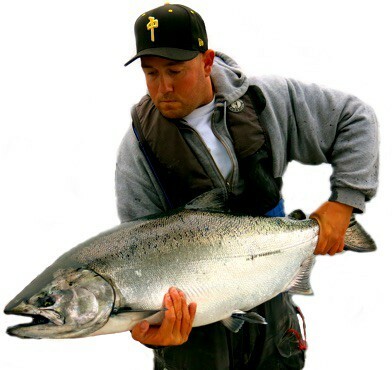 Trip is recommended for serious steelheaders looking for a new and challenging fishery. Packages are offered from mid November to mid April. 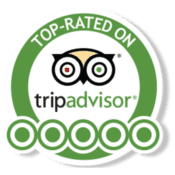 Trips run Saturday to Saturday and pricing is all-inclusive. 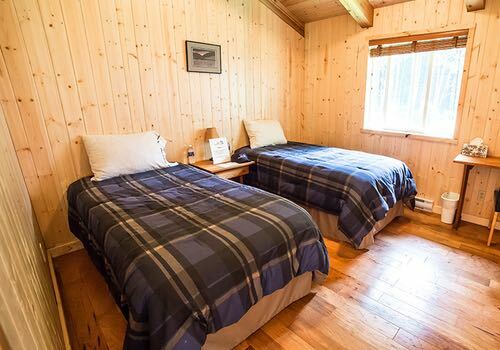 LOCATION: The lodge is located near Sandspit BC. This is a small town located on the northern part of Moresby Island, in the area known as Haida Gwaii. 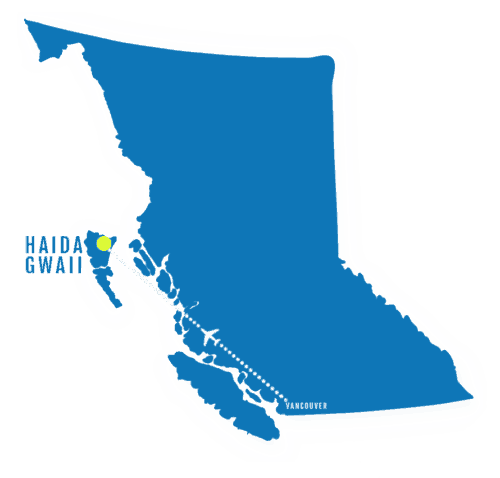 Haida Gwaii is a set of islands located off the northern coast of British Columbia. There are daily flights to Sandspit directly from Vancouver. INCLUSIONS: Packages are all inclusive, including seven nights lodge accommodation and seven days of guided steelhead fishing. Meal and ground transportation all included as well. Trips are limited to 4-6 anglers per week. Not included is travel to Sandspit, licenses and taxes. 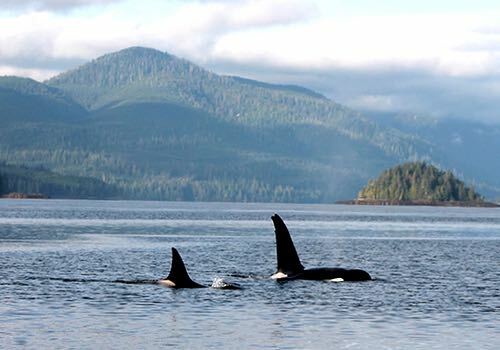 You’ll fly from Vancouver to Sandspit, on Moresby Island, Haida Gwaii. The flight is about two hours in length and Air Canada services Sandspit with daily flights through the winter months. Trips run from Saturday to Saturday. Upon arrival you’ll be pickup by the lodge staff for the short drive to the lodge. 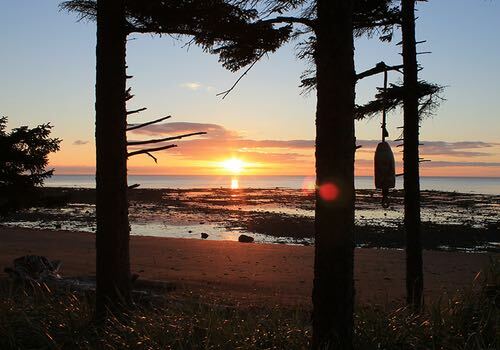 This is a special place unlike any steelhead trip you’ve ever been on, a mysterious land shrouded in history of the Haida people that have inhabited these remote islands for centuries. All ground transportation is included. Some of the rivers are within minutes of the lodge while others are a bit more of an adventure to access. Upon booking we’ll send you suggested flights and travel plans. 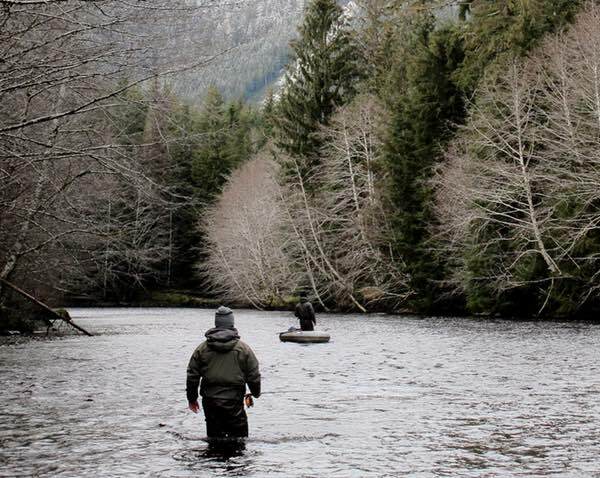 If you’re throwing around the idea of a winter steelhead trip to the Yakoun River there are a few things to keep in mind. Most importantly is to go knowing that conditions in this part of the world, during the winter months, are extremely variable. River levels and weather can change in a day and to hit a Haida Gwaii steelhead trip right you really need a lot of components to line up right. Don’t believe anyone can forecast what will happen here from one week to the next. It can be an unbelievable trip if conditions are right, or it can be a tough week if they’re not, just some honest advice when it comes to planning winter steelhead trip here in BC. 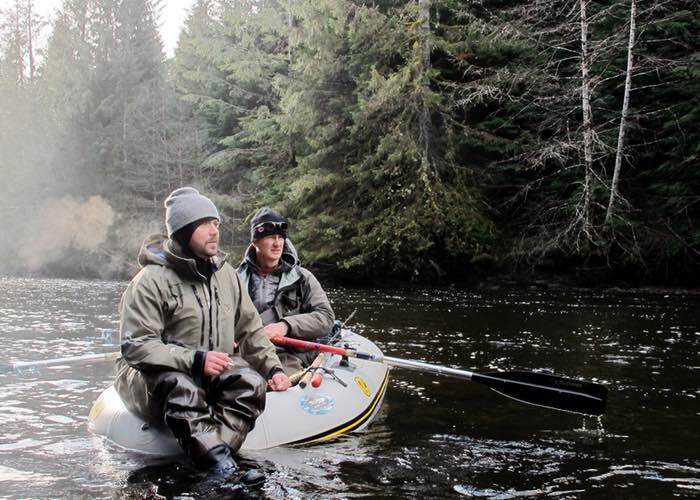 Experience swinging flies on the wild and untouched steelhead rivers of Haida Gwaii. Packages are offered November to April and limited to four anglers per week. 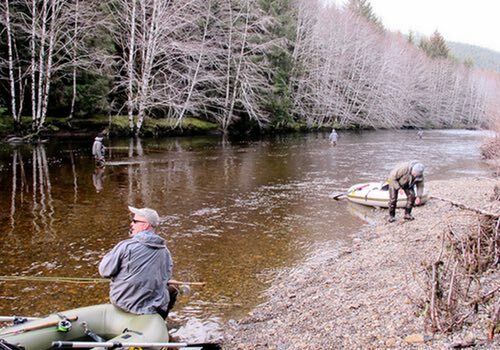 If you’re looking for the ultimate winter steelhead challenge then this just might be your trip. 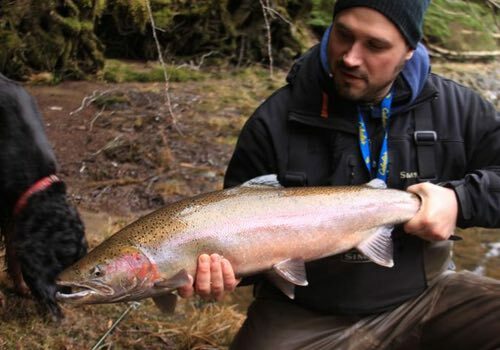 Haida Gwaii is a chain of islands off the northern coast of British Columbia and although it is best known for its summer salmon fishing, there is some excellent winter steelhead fishing to be had as well. 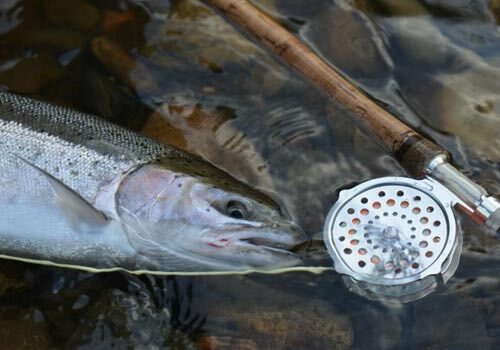 The most well known river is the Yakoun, but there are lots of other rivers home to ocean fresh steelhead as well. 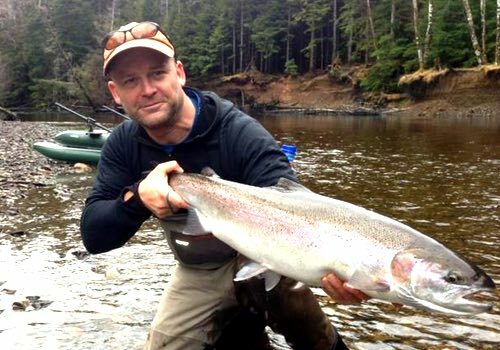 The Yakoun doesn’t have huge numbers of returning steelhead but the ones that do are beasts. If you’re willing to put your time in the Yakoun will reward you with a 15-20 pound winter steelhead. The river is accessed best by walk-n-wade fishing. Sometimes a raft will be used on guided day trips but expect to do some bush-wacking. The river itself is very easy to wade and the fishing is not terribly technical. The fish hold in shallow riffles and tailouts of runs. A swung fly is effective as is conventional gear fishing. Anglers can expect one or two hookups a day on average while fishing the Yakoun during prime months. 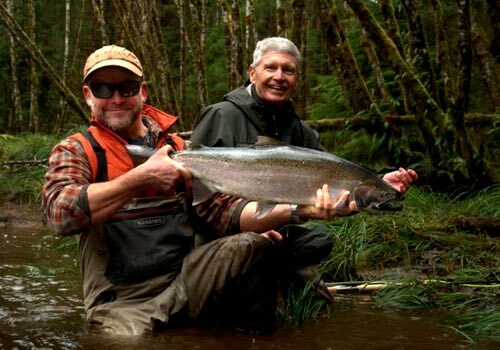 On this package you’ll also have the opportunity to fish Haida Gwaii’s lesser known and smaller secret steelhead rivers. Pallant Creek is a beautiful little stream with crystal clear water perfect for sight fishing its wild winter-run steelhead. Along with Pallant Creek there are also several other smaller rivers you’ll have the chance. These are wild untouched steelhead rivers in on of the most remote and rugged settings found anywhere in the world. 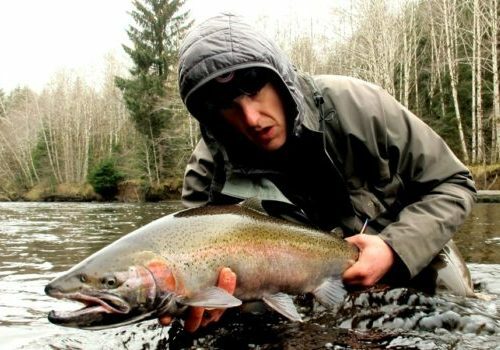 You’ll just have to come steelhead fishing in Haida Gwaii to find out what they’re all about! The Copper River is the closest river to the lodge with only a five-minute drive time to its outflow into the ocean. A difficult stream to read and explore and one where you will have a huge advantage in being guided. 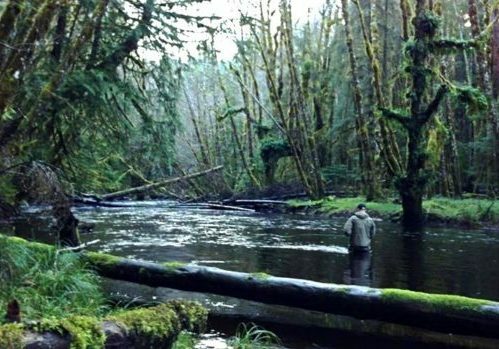 This small river surrounded by old growth forests is rarely access by other anglers and although sometimes challenging to fish it can offer big rewards when a 15 pound steelhead erupts from its shallow tea coloured water. 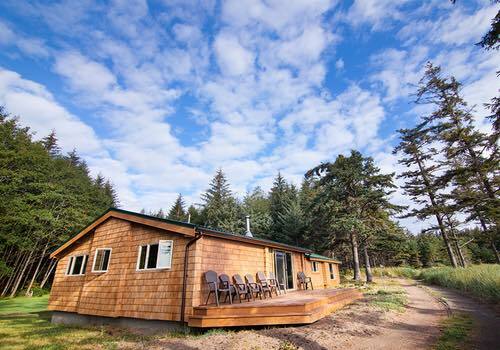 The oceanside lodge you’ll be staying in while on your Haida Gwaii steelhead adventure is nestled on five acres of secluded beach and surrounded by the old growth rainforests found no where else in the world. 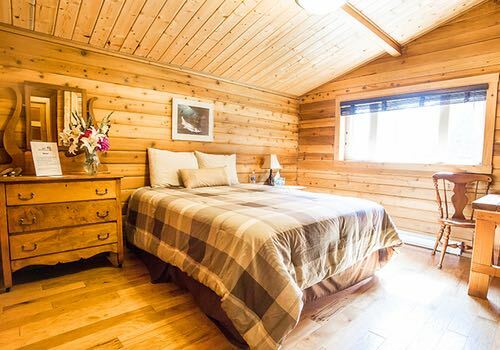 With a sensational view of the Hecate Strait, this is a beautifully renovated cedar lodge offering you a warm a comfortable atmosphere. Private and shared rooms available. Stay at the comfortable Copper Bay Lodge, located on 5 acre private waterfront property. All guiding, meals and ground transportation is included in the pacakge. These Haida Gwaii steelhead adventures are limited to a maximum of four guests per week, so personalized service is key. All meals are included. 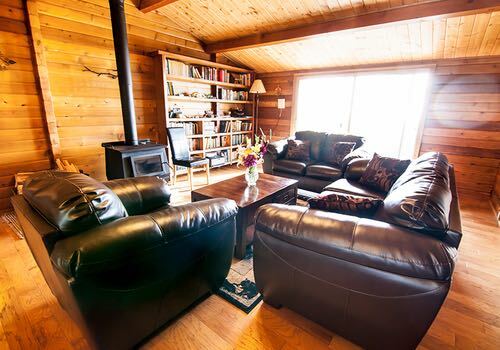 The lodge is a short drive from the Sandspit airport, where you’ll be picked up on arrival day.